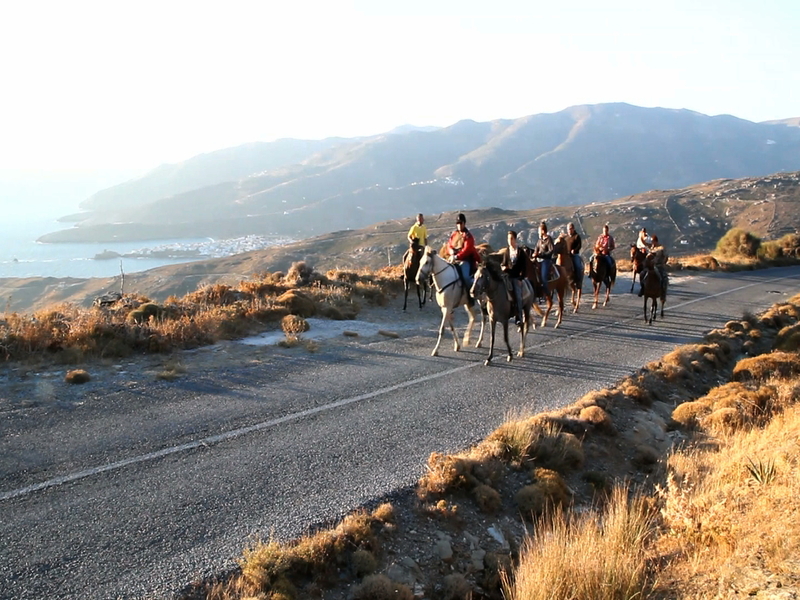 Beautiful Andros can also be discovered on the back of a horse. Ride and experience amazing views and quaint little villages with a little adventure, depending on which trail you take. If you like heights, then take the path that leads to the chapel, it’s the highest point Andros can offer. If you’re after a ride into the sunset by the sea, the village of Vourkoti has roads that lead to two beaches, Achla and Vori, located to the east with adequate protection from the common summer winds. It is also useful to know that it is the annual custom for the men of Vourkoti and other nearby villages village to ready their horses and ride off on a trail that leads to the chapel of Saint John Schinou, near the top of Petalou Mountain.